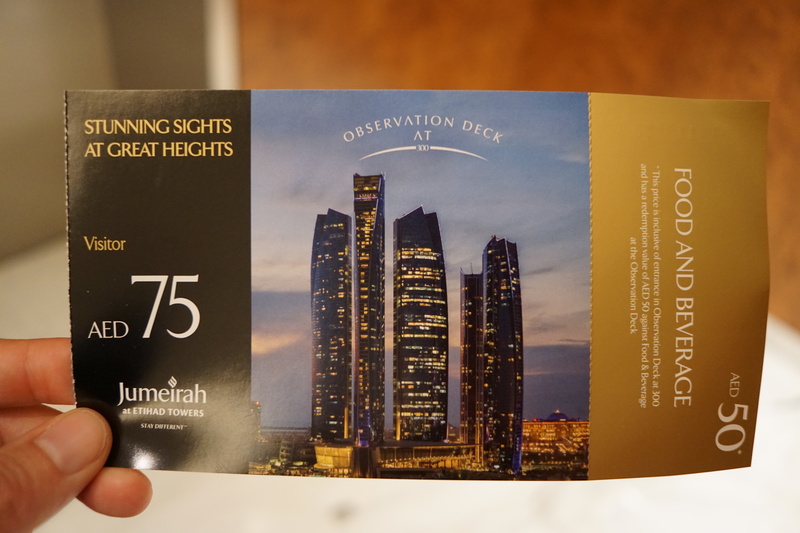 The 74th floor of the Etihad Towers contains Observation Deck at 300, a cafe of sorts with an excellent view of the city. 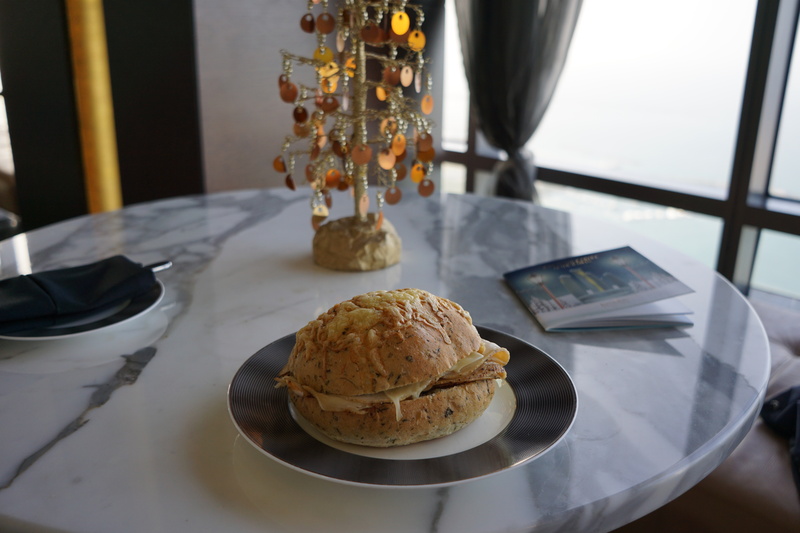 I used my voucher to purchase a delicious turkey sandwich, which cost approximately AED 50. There was ample seating in the cafe, although I suspect the place fills up around high tea time. High tea is quite expensive so I opted for sandwich time instead. Observation Deck at 300. 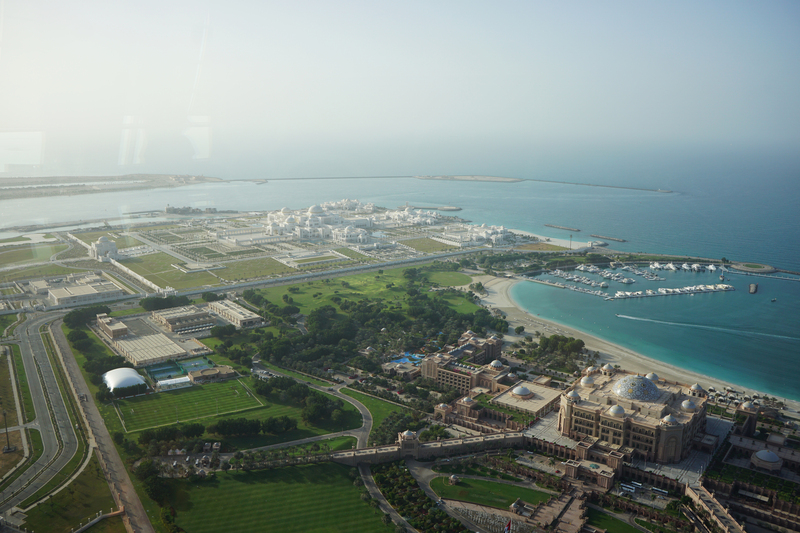 Note, the Atlantis Abu Dhabi is visible in the background. 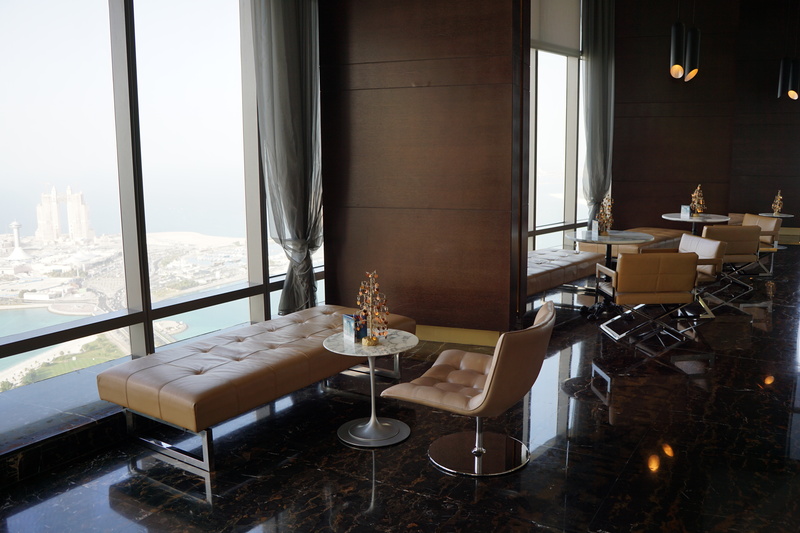 The highlight of the cafe was the view–it was probably the best public view in Abu Dhabi. 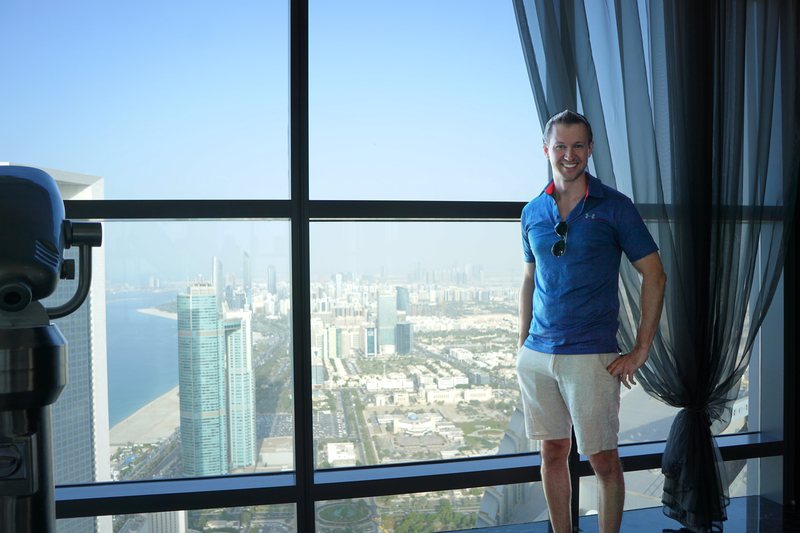 You could look through the binoculars or ask nice tourists to take your picture next to the Abu Dhabi skyline. 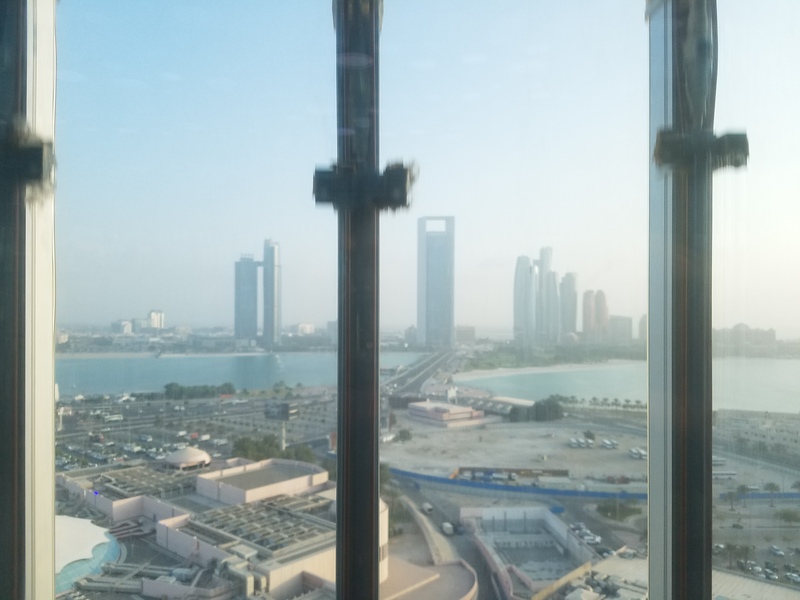 The view of the UAE Presidential Palace and Emirates Palace (hotel) were excellent. 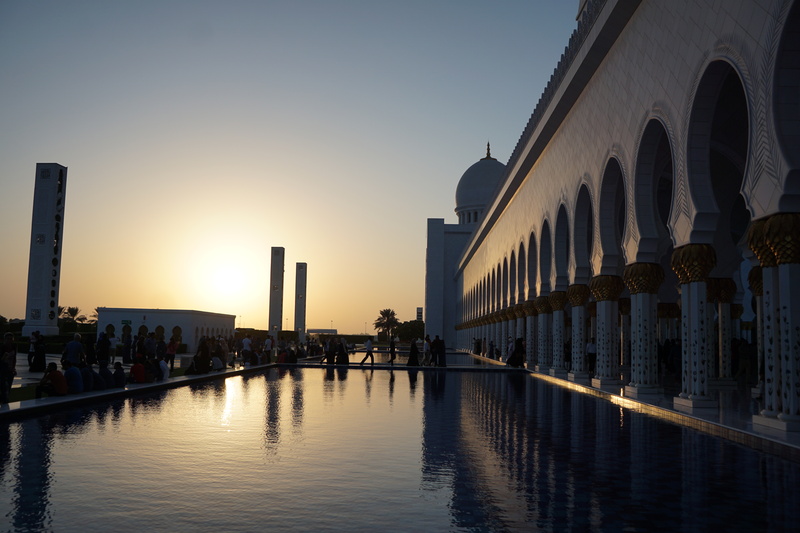 I had never visited a mosque before, so I was excited to visit the Sheikh Zayed Mosque in Abu Dhabi. This mosque allows non-Muslims to enter, although there is a separate Muslim only prayer area. Entry is free. 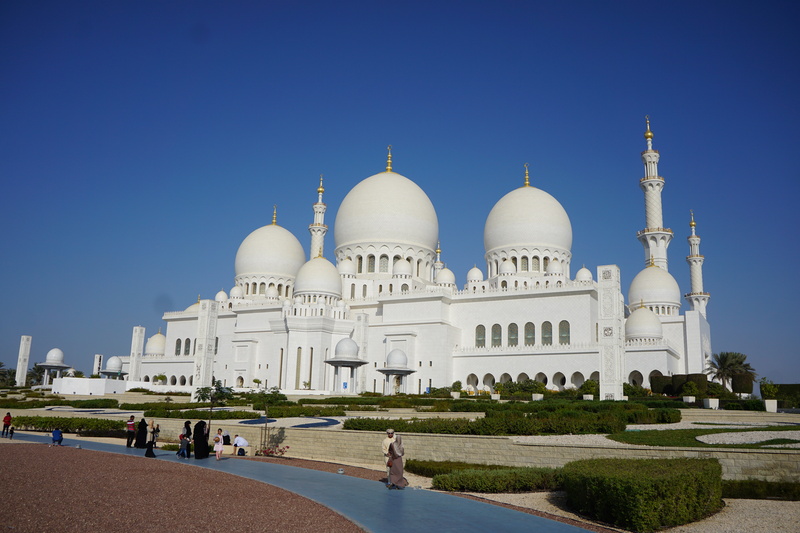 The mosque provides full-length robes for women and free tours. 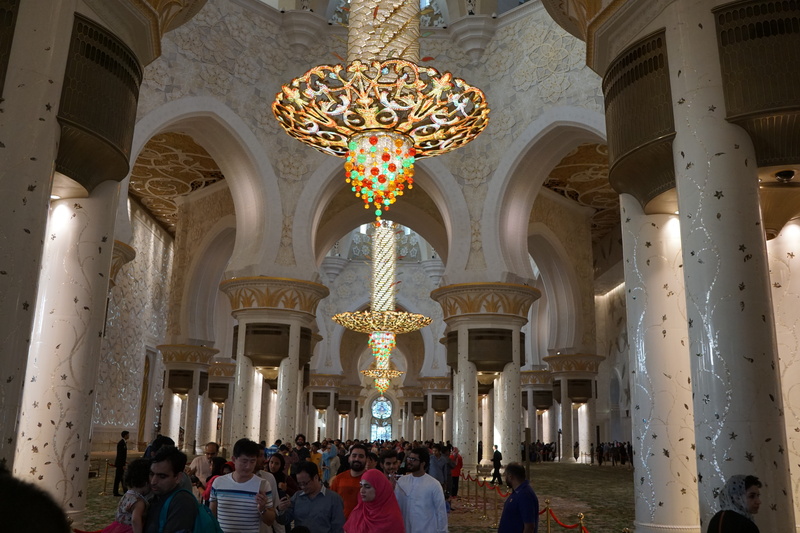 Panoramic shot, facing the prayer room. At sunset. The architecture was amazing. The pillars, chandeliers, and carpets were very detailed and ornate. 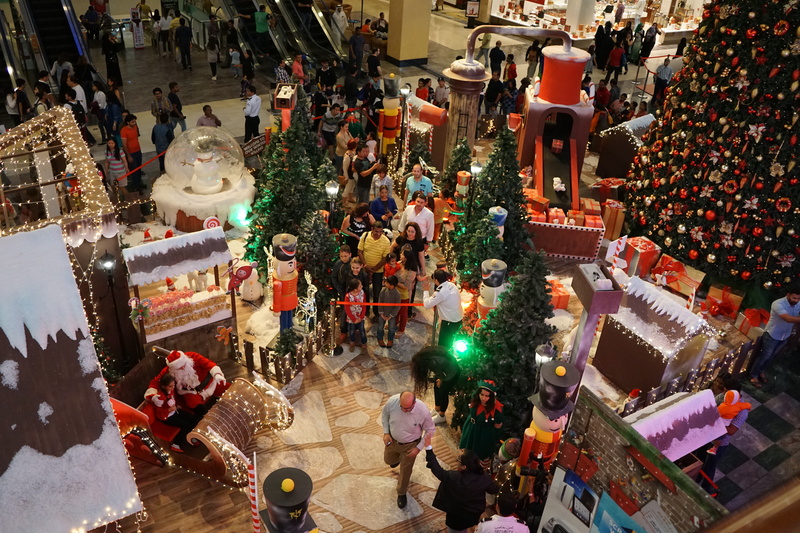 The UAE malls were surprisingly popular. Dubai has the two largest malls in the world (one has an indoor ski facility!) but the Marina Mall in Abu Dhabi was also quite popular. 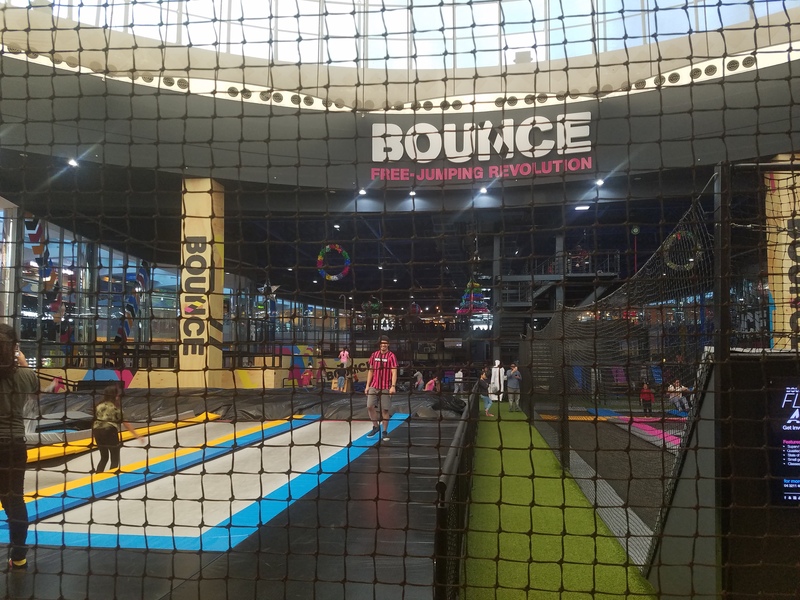 A huge trampoline exhibit in the middle of the mall. Elevator with glass sides. 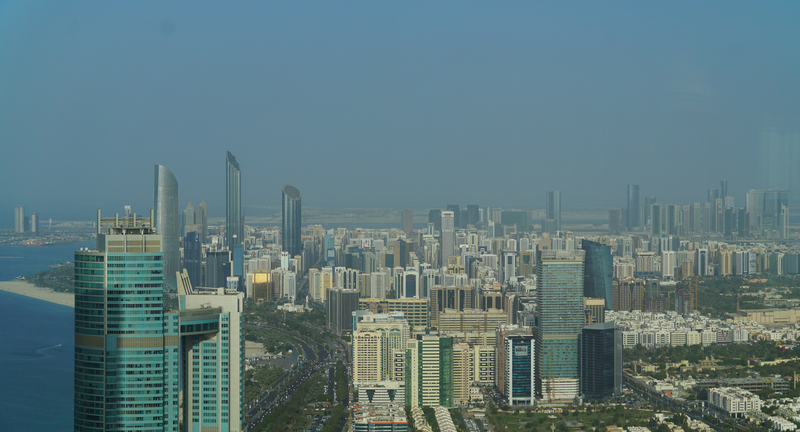 You can see the Etihad Towers (right) and the Abu Dhabi National Oil Company (center). 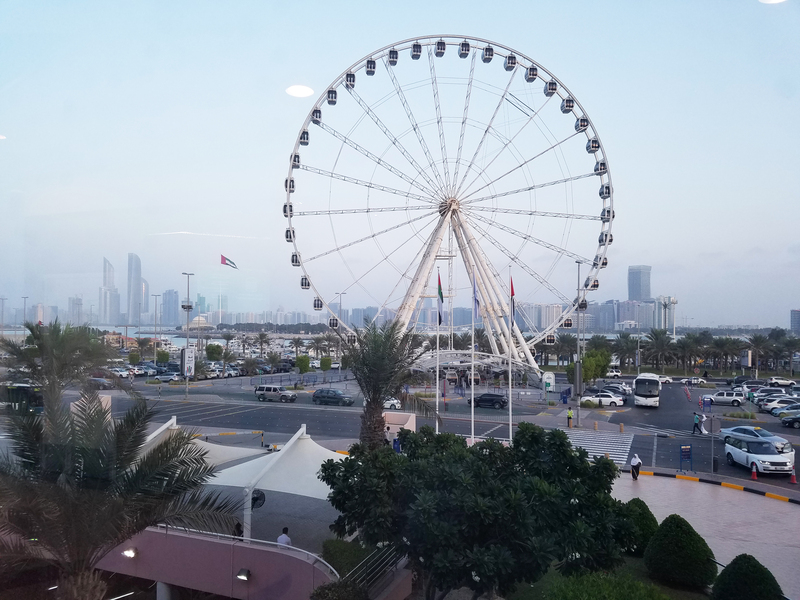 Ferris Wheel with Abu Dhabi skyline in the background. 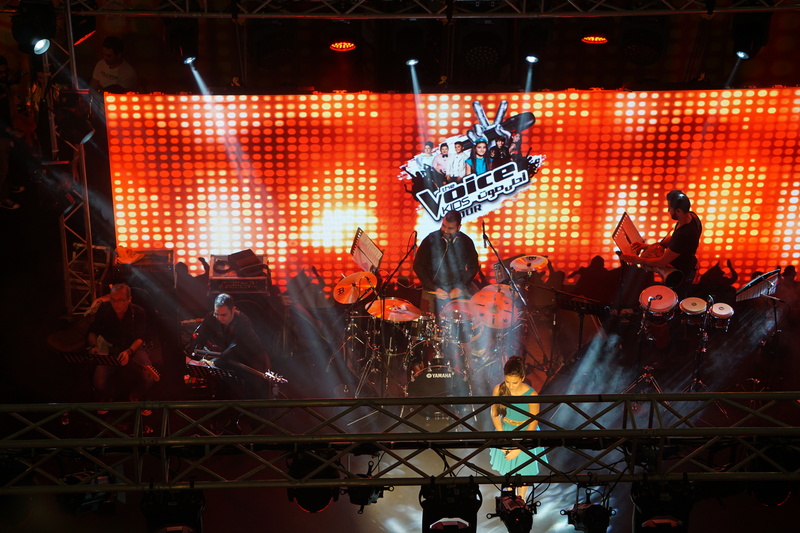 The Voice Kids was on tour while I was in Abu Dhabi so I stopped by one night. They sang in other languages but it sounded great. 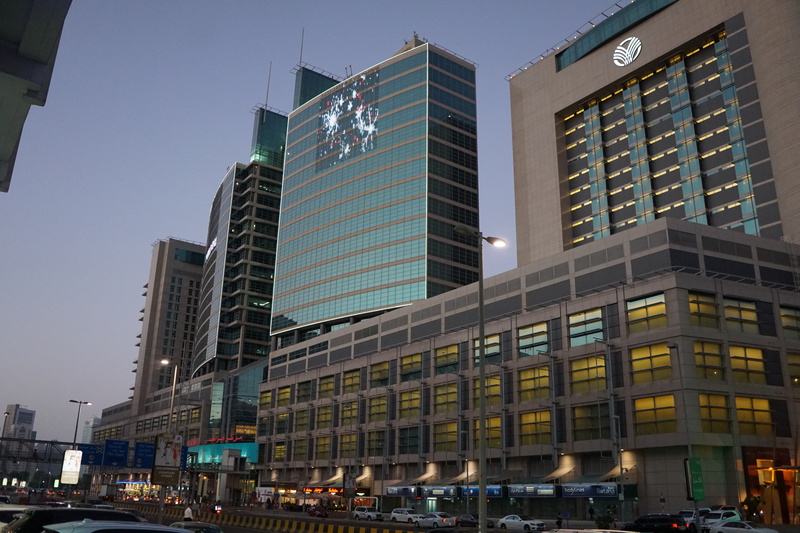 The Abu Dhabi Mall is located closer to the heart of the city. Notably, Etihad Airlines has a desk within the mall which was helpful when I wanted to delay the time my chauffeur would take me to the airport (it came with my first class ticket–Etihad has since discontinued chauffeur service on award tickets booked with miles). The desk had very few visitors so they were able to accommodate my request. Outside of the Abu Dhabi Mall. Folks waiting for Santa on December 23rd. 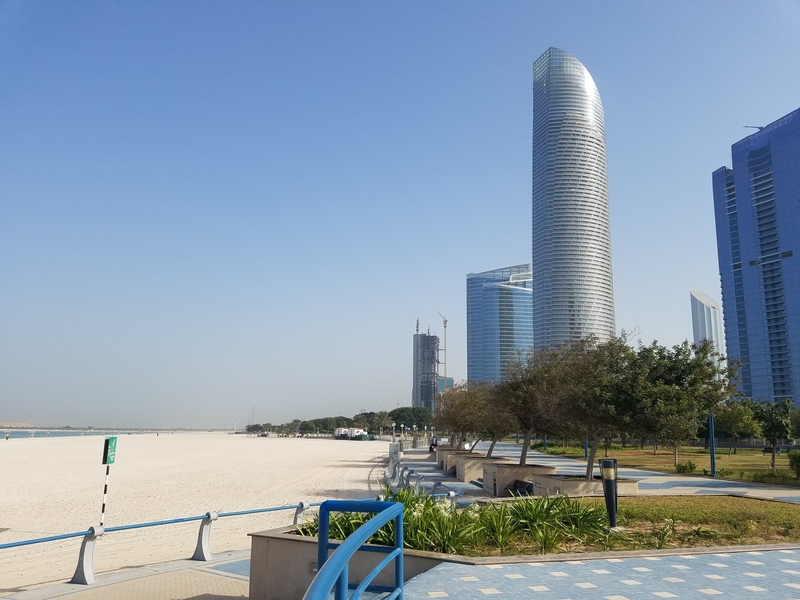 Corinche Beach is Abu Dhabi’s main beach and it is fairly long–likely over a mile long. The highlight of the beach was the large bike/ jogging path that ran its entire length. Joggers and bicyclists frequently used the path. The beach remained fairly empty during my trip. 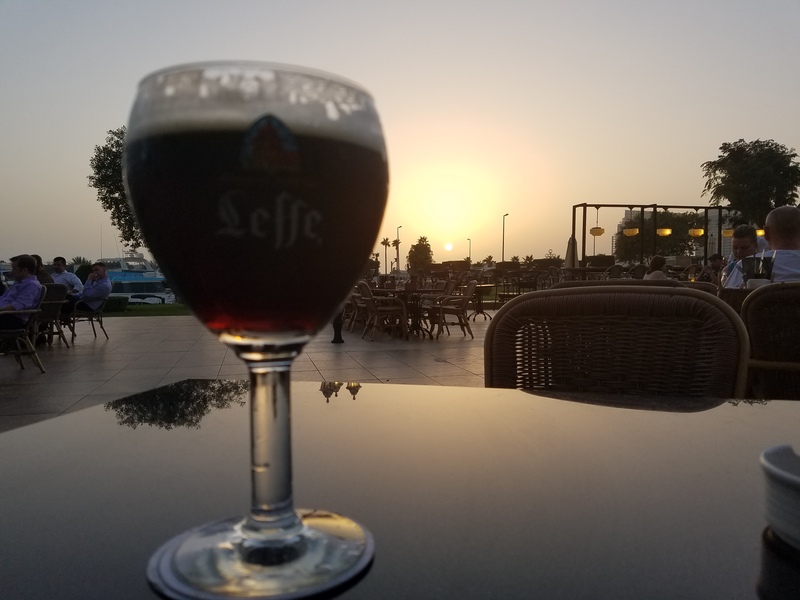 Before visiting Dubai (previous trip), I did not know that alcohol could only be served in establishments attached to hotels. As a good law-abiding citizen, I visited the Belgium Cafe, located in the InterContinental hotel. The cafe’s variety of Belgium beers, both on draft and in bottle, was impressive. 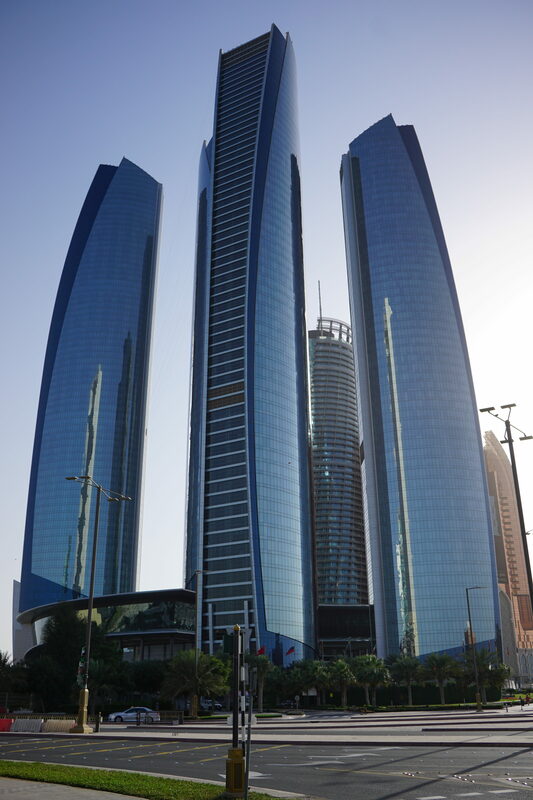 Overall, Abu Dhabi was a pleasant and relaxing city to visit during the winter. If you are looking for a warm winter city with nightlife, consider Dubai. 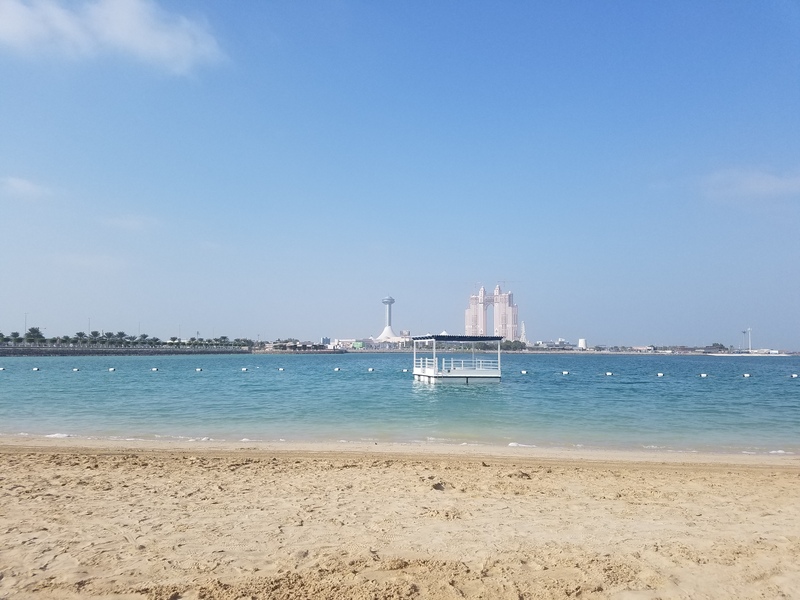 Be the first to comment on "Abu Dhabi: A Relaxing Destination (Review)"